An executive coach hits the mark with amusing stories and practical lessons about leadership. Iain Martin’s unusually titled leadership book, Looking Down On Leaders, is smart, insightful, and just plain fun. A Scottish executive coach who counsels CEOs around the world, Martin wanted to write a different kind of book about how to be a leader from his unique perspective. The result is a loosely organized work that is stylish and delightful to read, offering wise and witty observations about leadership rather than championing a particular method. Martin’s approach is a breath of fresh air in the business leadership category. First and foremost, his book brims with personality. Rather than adopt the more traditional, serious business tone associated with most volumes on leadership, Martin’s free-flowing prose sparkles. Utilizing a strong first-person style, the author recounts numerous entertaining and educational stories about his business experiences and the leaders he has met. Of particular interest are his interactions with leaders who face the challenges that often arise when working with people from other cultures. For example, Martin’s story about Cyril, a European manager who works for an Asian company but is “innocent and ignorant about doing business in Asia,” is a classic case of one not being prepared for cultural differences. Unaware of Asian customs, Cyril is put into uncomfortable social situations and encounters foods that, to a Westerner, seem downright repugnant. But these experiences pale in comparison to the roadblock Cyril faces when he tries to sell a division he runs to Asian buyers. Cyril finally understands that the sale can occur only if he follows the unwritten law of backroom bribery. Martin does more than tell engaging stories; he uses them to discuss various aspects of leadership, including practices and principles that he invariably gives memorable names, such as “The Morale Curve,” “The Hollow-Cube Organisation,” and “Excel Leadership.” The author explains these concepts along the way and illustrates a number of them with hand-drawn charts, a perfect complement to the informal, down-to-earth text. Chapter titles and subheads are also quirky and pun-filled in keeping with the book’s light tone. Martin employs another creative technique as well: he introduces “MacMentor,” a kind of alter-ego character who offers wise commentary at the end of each chapter. MacMentor’s observations summarize and punctuate the content with key takeaways that provide the serious foil to Martin’s high-spirited, humorous voice. 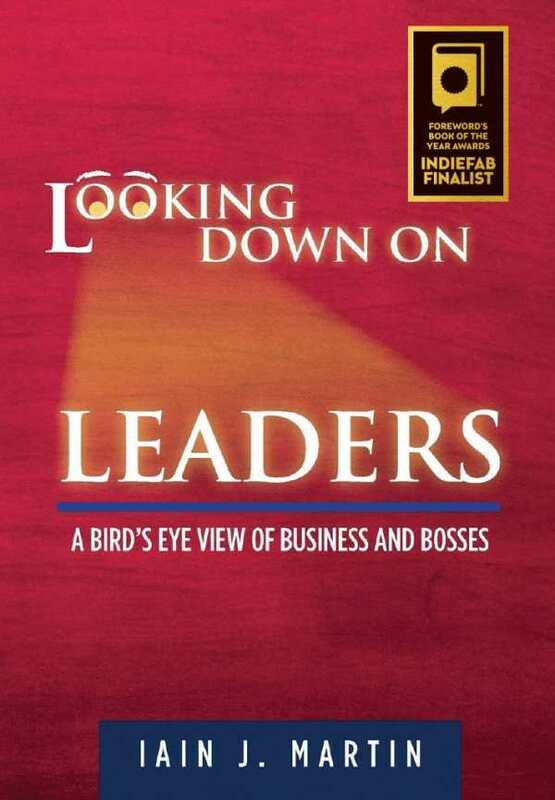 With its discrete chapters, Looking Down On Leaders is the type of book that can be enjoyed in one sitting or in segments, a delicious little bite at a time. However one decides to devour it, this amusing guide to leadership elicits laugh-out-loud moments while imparting a true sense of what it takes to be a great leader.